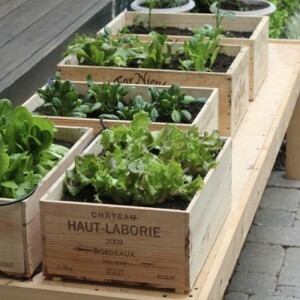 Really anyone can plant some sort of garden just about anywhere! 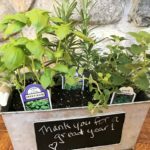 Whether you have acres of land with rows and rows of veggies, or a little patio with weathered terra cota pots filled to the brim with tomatoes, basil, peppers and lettuce- you, my friend, have yourself a garden. And if you ask me, any type of garden is a wonderful one! The great thing about choosing what kind of garden to start, is that there isn’t really a wrong answer. Outside of yard space and budget, it mostly just depends on your personal preference. So have fun with it! Do web searches, go on Pinterest, pull pages from magazines and dream big! You can build almost anything if you put your mind to it. In most situations, chose a nice, sunny location. 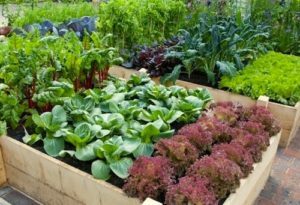 The majority of garden vegetables require full sun, which is 6-8 hours of direct sunlight daily. Plants that grow in partial sun/shade only need 3-4 hours of direct sunlight, and plants that thrive in shade only need 2 hours daily. Another thing to think about is where your water source is. Are you going rely on rainwater or would you prefer drip lines or raised sprinklers? Rainwater is usually the way to go if you have a garden planted right on the ground, but you may want to be near a hose spigot so you can easily fill watering cans or set up a sprinkler for those times when it is so hot and dry and it just doesn’t seem to want to rain! 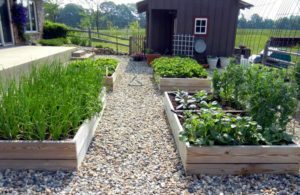 For raised beds, you can do rainwater and fill in with a hose/sprinkler when needed, but I definitely prefer drip lines or a sprinkler system on timers. I’m much more of a set it and forget it kind of gal. Lastly, chose a location that is close by. A garden you pass by all the time is easy to tend to. Mine is close enough to the kitchen that I like to wander through it in my pajamas (read- workout clothes, because I had high hopes of working out after the kids went to bed, but chose sleep instead) while drinking my morning cup of coffee. It is so cool and peaceful in the mornings- it’s my favorite way to start the day. 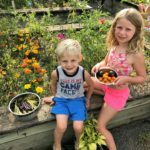 Having it close also makes it easy to send the kids out for ingredients like lettuce, tomatoes, peppers and basil for an impromptu barbecue. 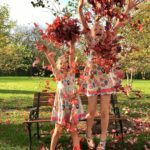 If you have been blessed with a good-sized yard and good dirt (aka- not complete clay like our old backyard. I swear I could’ve made pottery from that stuff), then you may want to do a standard in-ground. We’ll call it an “old-fashioned” garden because that sounds much more charming. But don’t let the name fool you! A charming old-fashioned garden doesn’t have to just be a field of straight rows. Picture a boutique round garden with an old wooden fence and pea gravel paths between every bed on the ground. Where all of the paths lead to a beautiful round bed in the middle with a huge trellis of climbing clematis flowers, or maybe even a cafe table. The possibilities are endless really! 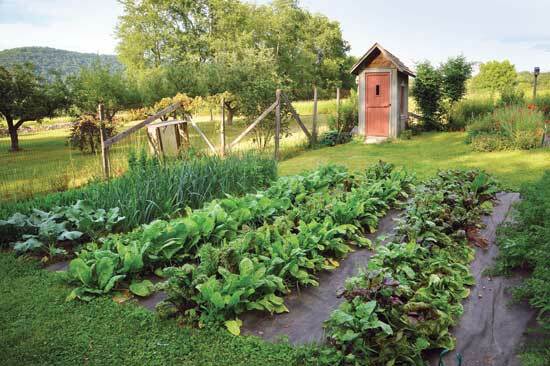 Learn how to start and “old-fashioned” garden here. Or here is another, very similar, step-by-step if the area is covered in grass. There are at least a dozen reasons why I love raised beds. It can all look so clean and organized, and yet, when it’s in full bloom, can be so full and abundant and beautifully draped with vines and flowers at the same time. The perfect amount of organized chaos. 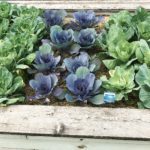 Learn how to build a basic 4ft x 8ft raised bed here. This is actually the first small raised bed I built. I doubled the height to 24″ (so buy double the amount of wood) and skipped building the curved bar cover at the end, although it might be a good idea to to put the brackets in so it would be easy to add on in the future. It only took me a couple hours one afternoon to build and actually produced way more vegetables than I thought. Plus, it was a great way to introduce the kids to gardening! 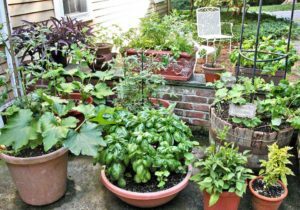 Imagine your back patio with beautiful terra cotta pots overflowing with lettuce, kale, swiss chard, peppers, tomatoes, and even blueberries and strawberries! There are so many things that can grow wonderfully in pots. 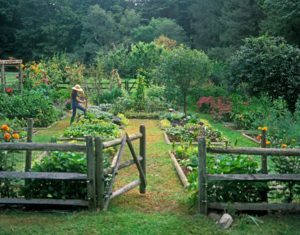 Add in some nasturtiums, petunias, lavender, and other flowers and herbs and you’re not only adding beauty, but you’re deterring all sorts of pests as well! This is a win-win. Learn more about container planting here.